Russia was banned from competing in the Winter Olympics in Pyeongchang, a sweeping punishment for its brazen state-sponsored doping program, exposed in 2016. But even with the added scrutiny of athletes in 2018, the percentage of athletes using banned substances in Pyeongchang is probably lower than it was in Rio in 2016, and than it will be in Tokyo in 2020. Doping—throughout the history of the Olympics—tends to happens more in the Summer Games than in the Winter Games. Based on the numbers from the games between 1968 and 2014, the Summer Olympics have nearly double the percentage of reported doping cases than the Winter Olympics. Overall, 0.44% of doping tests from the Summer Olympics came back positive, compared with 0.28% of tests from the Winter Olympic—that’s 144 out of 26,900 summer doping tests, and 22 out of 7,783 winter tests. That gap isn’t surprising to doping experts. Though there isn’t formal academic research on the topic, it’s easy to generate reasons why it might be the case, says Thomas Hunt, author of Drug Games: The International Olympic Committee and the Politics of Doping, 1960-2008. The main reason, Hunt speculates, is that many of the factors that drive athletes to take performance-enhancing drugs play a larger role during the Summer Games. “The first thing that comes to mind,” Hunt says, “is that the economic stakes are different. There are more summer sports that make a lot of money, potentially, for athletes compared to the Winter Games.” Sponsorships are easier to come by for high-profile sports, and there are more high-profile sports in the summer than in the winter (think track, gymnastics, swimming)—but athletes have to perform well to land a deal. The viewership stakes are also different—more people watch the Summer Games than the Winter Games. “Summer is seen as more prestigious,” he says. According to the International Olympic Committee, 3.5 billion people across the world tuned in for the 2016 Rio Summer Olympics, compared with an audience of 2.1 billion for the 2014 Sochi Winter Olympics. More countries are represented during the summer than the winter—89 countries sent athletes to Sochi, while 205 sent athletes to Rio—which makes the summer games even more global. In the U.S., at least, winter stars don’t draw the same name recognition. For those reasons, says Jörg Krieger, who studies the history of doping at the German Sports University, athletes may be under more external pressure to perform well at the Summer Games. “From governments, sponsors, the media, the public, whoever.” Those pressures, he says, are some of the reasons that athletes tend to dope. But despite the slightly lower profile of the Winter Games, Krieger doesn’t think there’s less scrutiny of the athletes, at least on the part of the International Olympic Committee, or that it’s easier to get away with doping. “I would argue that it’s the other way around,” he says. “There are fewer athletes competing in the Winter Olympics, which means they have a higher percentage of them being tested.” Not every competitor is tested—every medal winner is, and throughout the games, doping agencies can randomly select and test an athlete at any time. More athletes play summer sports than winter sports, which also serves to increase competition, both to get on an Olympic team in the first place and to succeed once there. “Think about how many more athletes run track than cross country ski,” Hunt says. In the Summer Games, then, athletes have a higher chance of not winning. And avoiding losing, Kriger says, is another major reason athletes dope. The types of sports included in the Winter Games may also contribute to the discrepancy, Krieger says, because there are more summer sports where doping with common drugs, like steroids, can improve performance. Weightlifting and track and field, both summer sports, were the top two most-doped Olympic events, with 36 and 28 cases, respectively, between 1968 and 2010. Hunt, though, isn’t sure if that’s a contributing factor. “I think in the Winter Games, you can benefit equally as well from drugs,” he says. 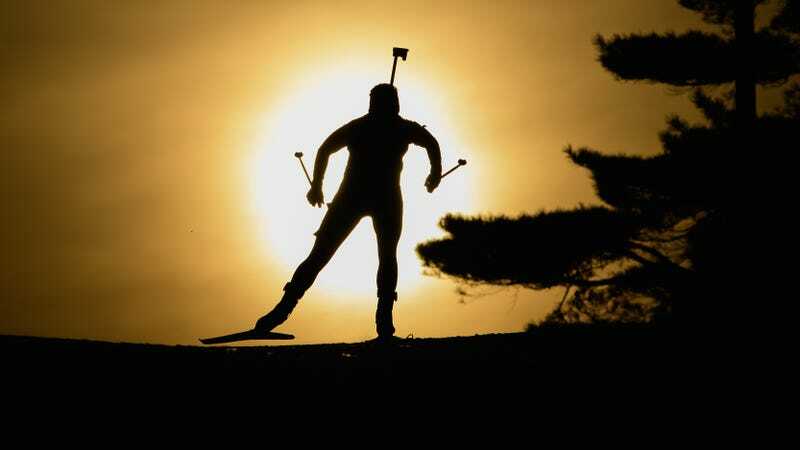 Cross-country skiers, for example, have looked to increase endurance by using erythropoietin, a drug that increases red blood cell counts. The sport is the third-most doped Olympic event, with 12 cases between 1968 and 2010. One major wrinkle in all of this speculation about trends in doping, though, is that it’s based on the reported numbers of dopers. And those numbers come with one enormous caveat: they’re probably way, way too low. The doping counts from the Olympics are only of the athletes who got caught doping—and many of them don’t get caught. “The numbers don’t tell the whole story, that’s for sure,” Krieger says. But, Krieger says, he thinks the gap between dopers at the Summer and Winter Games still holds true. “Even if we catch everyone, I think summer would still be higher,” he says.